I love the taste of vegetables. They are so good for you, raw or cooked. My favorite way to serve vegetables is roasted. 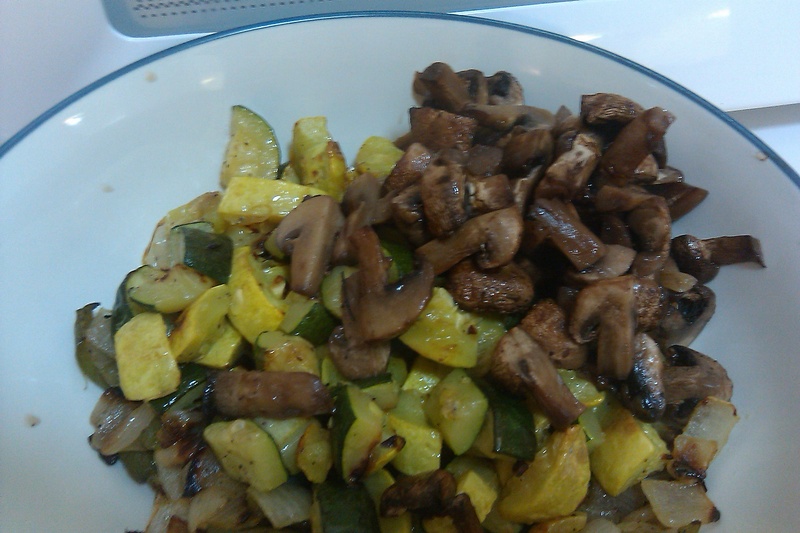 Every time I make them, I add different vegetables. The the flavors change with each new addition. Roasting adds its own flavors, giving a hint of sweetness. You can change this recipe to include any or all your favorite vegetables. 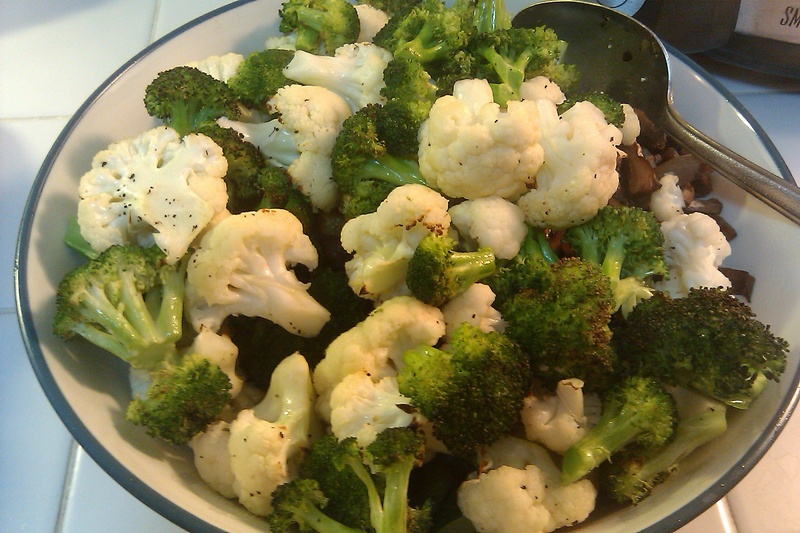 Best part, a small amount of work gives you a great side dish, that can last for several meals. These vegetables are great on sandwiches and can be added to pot pies, stews and soups. 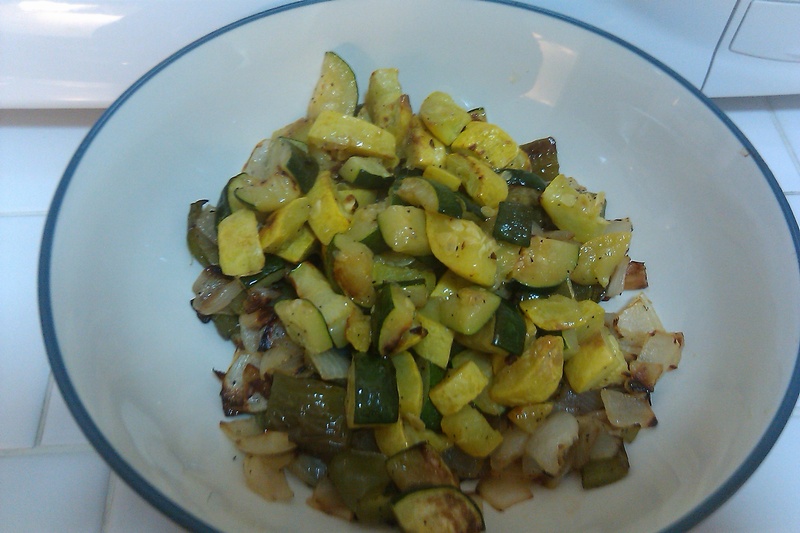 In an aluminum covered baking dish, add vegetables in Group 1: Bell pepper and onions. 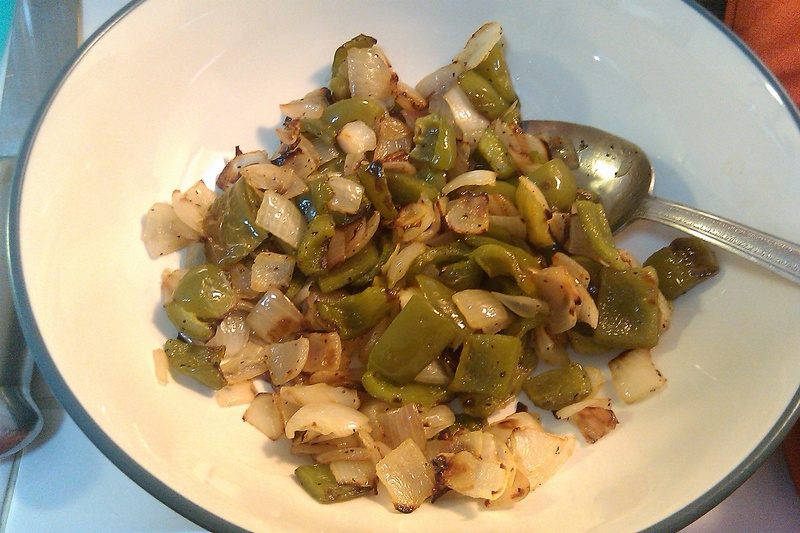 Place baking dish in the center of oven and roast until onions and bell pepper start turning brown. 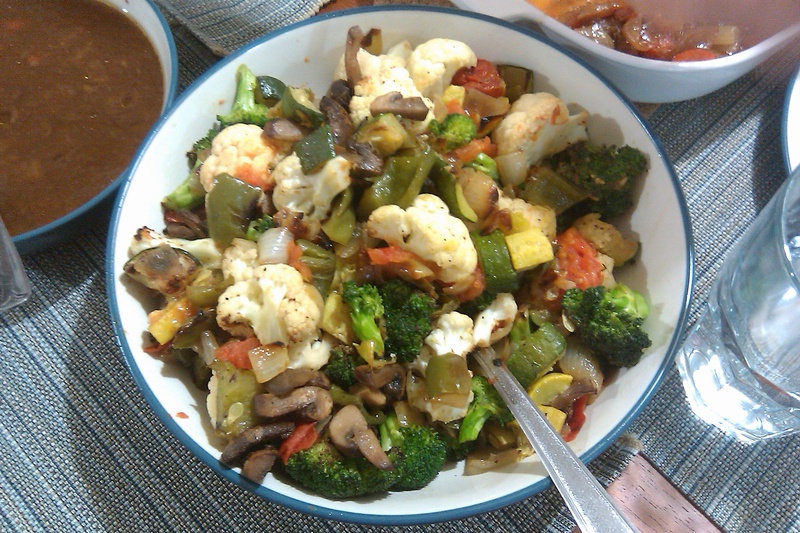 Mix all the vegetables from Groups 1, 2 and 3 together and adjust salt and pepper to taste. Other vegetables I like to use: cherry tomato (pierce skin first or you will have a mess), carrots, green beans, asparagus, yams (cube and steam cook in microwave first).